There are many reasons and uses for a professional public address (PA) system installed on a variety of premises. Whether it be for safety, ease of mass communication, or to help with group management, a PA system installation Canberra could be just what you and your organisation needs. Bluestar Communications have years of experience with an extensive range of audiovisual technologies. We are experts at PA system installation Canberra wide, providing the local community with our extensive expertise, friendly and relatable customer service, and the peace of mind that comes from dealing with true professionals. While there are few aspects of any audio system installation that are easy or simple, PA systems are usually especially difficult and complicated. They often involve multiple locations spread out across the one property, sometimes with large distances between outlets, speakers, and control points. They can involve outdoor and indoor speaker combinations that require weather-proofing and protection, all the while ensuring smooth connectivity and sound quality, as well as ease of maintenance and servicing. This is really an area where the savvy customer shouldn’t risk trusting an unproven operator. With our years of experience, Bluestar are professionals who have seen practically every configuration of PA system installation variations, and we bring that wealth of advice and experience to every job. Bluestar Communications are dedicated to giving you clear explanations and quotes. We will carefully explain all the aspects of each job to ensure that you are informed, and understand what you’re paying for, and how the installation will work. We can provide almost any service relating to PA system installations. We are able to do anything from installing an entire system from scratch, sourcing some, all, or none of the components for you, to providing maintenance or upgrades of an existing system. We operate in most commercial and residential environments, and we have experience in PA system installation in schools, sporting venues, commercial centres, private properties and residences, and showrooms. We can also install 100-volt amplifiers and speakers. 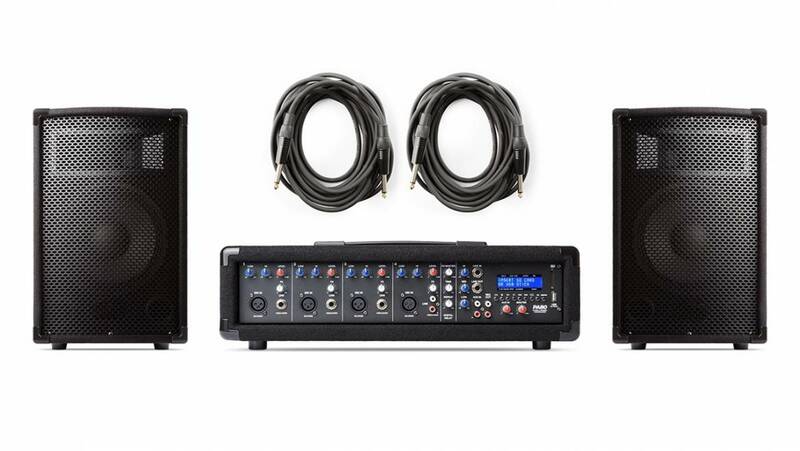 Bluestar uses industry-leading components, from the speakers to the outlets, cabling, control points, and connections. We also provide advice and instructions on safe use and maintenance, how to get the most out of each system, and how to ensure it stays durable. For PA system installation Canberra residents can rely on, look no further than Bluestar Communications. Call now on (02) 6296 4004.